Handling a bunch of credit card payments and multiple loans is never simple. You’re burdening your financial stability with all the credit taken, which might reflect negatively on your credit history. But more stressful than that is keeping track of all the monthly repayments. A debt consolidation loan cures the headache of paying back multiple loans every month by consolidating them as a single principal amount. The monthly repayment of a consolidated loan is lower because of the lower rate of interest as compared to the combined amount of individual loans. But don’t be mistaken about the principal amount as you’d still have to pay the same. Here are a few more details about this loan type so that you’re aware of its ins and outs before taking a leap. A secured loan is one which offers funds at the expense of a collateral. You’ll be borrowing money from your lender by placing your asset as collateral. Lenders usually give out massive loan amounts at lower interest rates as they possess ownership of your asset. You repossess ownership of your asset after clearing the debt. However, if you default, the lender has the right to auction your asset to recover the money. Some lenders even offer tax deduction on such loans. Although a huge loan amount, low interest rate, and tax deductions might seem like a bargain, remember that you can lose your assets if you fail to repay. This is just the opposite of secured loans and doesn’t require any assets for release of funds. Of course, the interest rate will be high for a low loan amount. Tax deduction are also out of the question. The good thing is that you don’t risk any of your assets, but only your credit history. If you default on the repayment, it tarnishes your credit score which will hurt your loan applications in the future. Where Do You Sign Up for a Debt Consolidation Loan? A secured loan would be possible at financial institutions such as NBFCs, banks, and credit unions whereas unsecured loans would have more options. A convenient method would be to sign up for an online personal loan for transparency and quick application approvals. However if you do need to apply personal loans at your lender’s headquarters would be convenient as they’ll be able to guide you during the process. 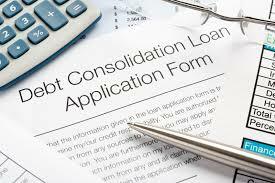 A debt consolidation loan is great option if you want to settle your debts for good. However, if you’re not responsible with your finances, chances are that you’ll be jeopardising it manifolds.